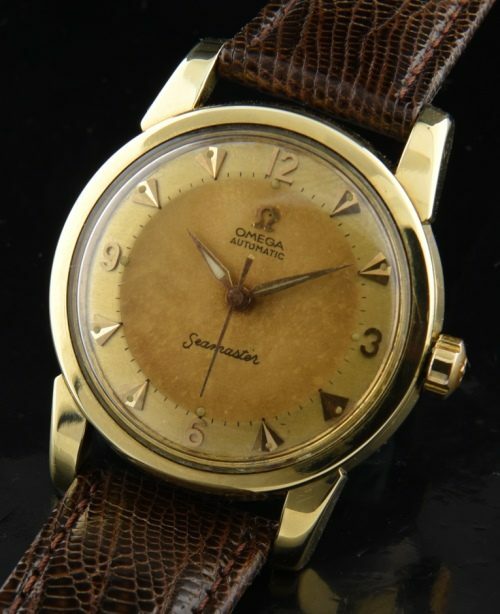 This OMEGA SEAMASTER 1954 watch has an old restored aged “Havana” style two-tone “Explorer” style dial with original arrow markers and Dauphine hands. The winding crown is original. The 34.5mm. gold capped case with steel back displays excellent condition overall. The automatic winding caliber 501 movement was cleaned and is accurate. 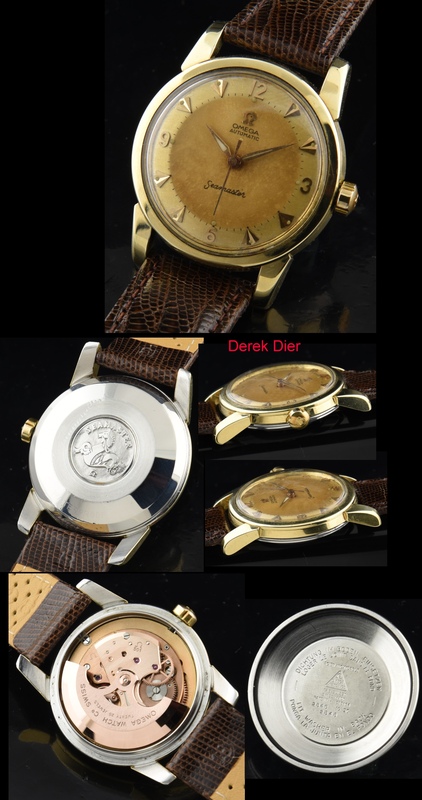 We really do enjoy the look of these patina’d dial watches.